You are more likely to do this for fun in the winter months than any other time of year; what is it? You are more likely to attend parties in the winter months than any other time of year! 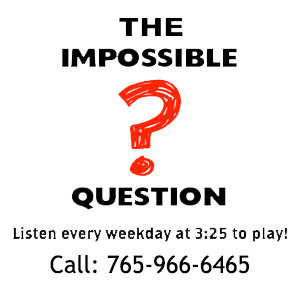 Congratulations to Jack Duncan of New Castle, IN for being the first to correctly answer the Impossible Question!